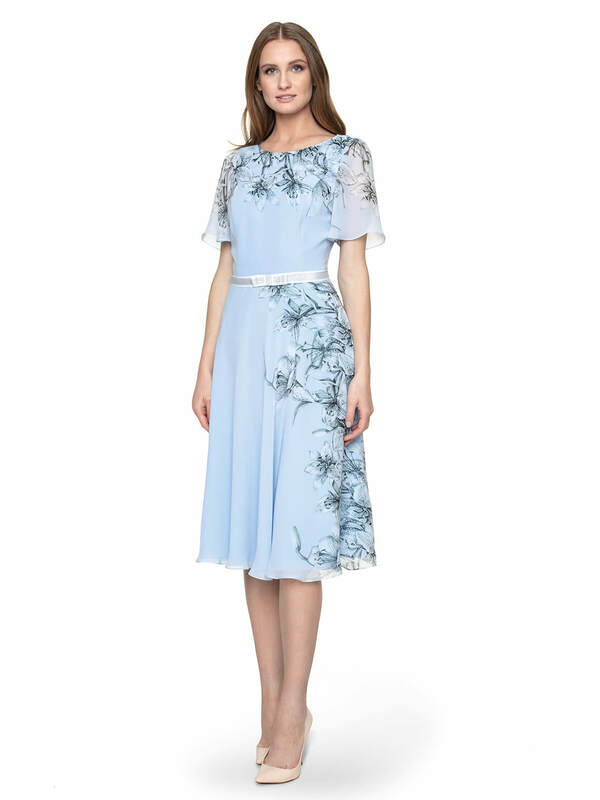 The delicacy of this dress is its pastel color, reminiscent of the blue sky, and pleasant to the eye, feminine form. Alix has a cut close to the body. It has short sleeves finished with decorative frills. The neckline has an unusual, attractive shape. Dress Alix has a mini length. Alix dress will be perfect for official meetings and in exceptional family circumstances (e.g. baptism, communion or wedding). Match it only with beige high-heeled shoes and a tiny handbag and a delicate jacket. Complete your style with silver, modern jewellery.